GrinGod [dot] Com » How Big Is A 24″ Widescreen? How Big Is A 24″ Widescreen? Nb. This post uses MathML. To view it at its best you may need to install the Mathematica fonts, available for Mozilla here and for Internet Explorer you will need MathPlayer. 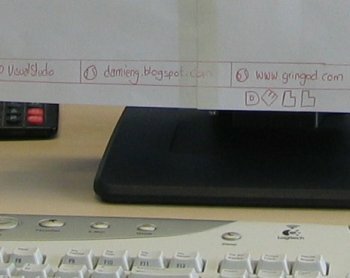 Yesterday, my co-worker Damien just about convinced himself to buy two 24″ Widscreen Dell monitors. Before he bought them he wanted to know just how big they would be so what better way to find out than to make a paper mock-up. In the first attempt he took two sheets of A4 paper and lined them up so that the diagonal dimension was 24″. The trouble with this approach is that it is very difficult to get the aspect ratio right and its also ver difficult to acurately measure a 24″ diagonal line with a 12″ ruler. 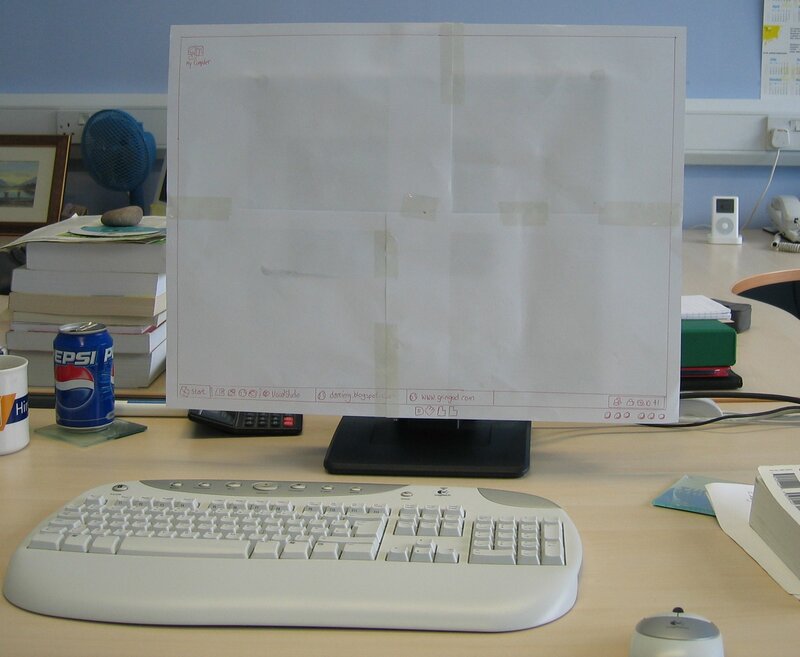 With this knowledge Damien was able to make an acturate replica of the Dell monitor from paper.